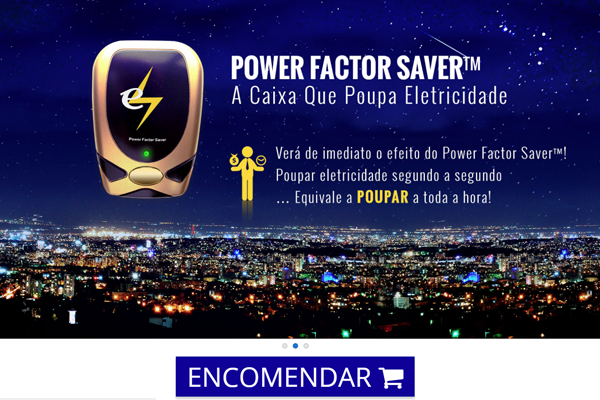 Power Factor Saver is a perspective energy saving affiliate program localized especially for users from Portugal. The electricity saving box efficiently and environment-friendly stabilizes the current leading to lower electric consumption and huge reduction of the electric bills. The appliance also prolongs the life of the electric devices.